The heady scent of Jasmine fills the late evening air as I tidy up stray bits of toys lying around the garden. White flower heads are scattered all around the ground and in nearby plants. 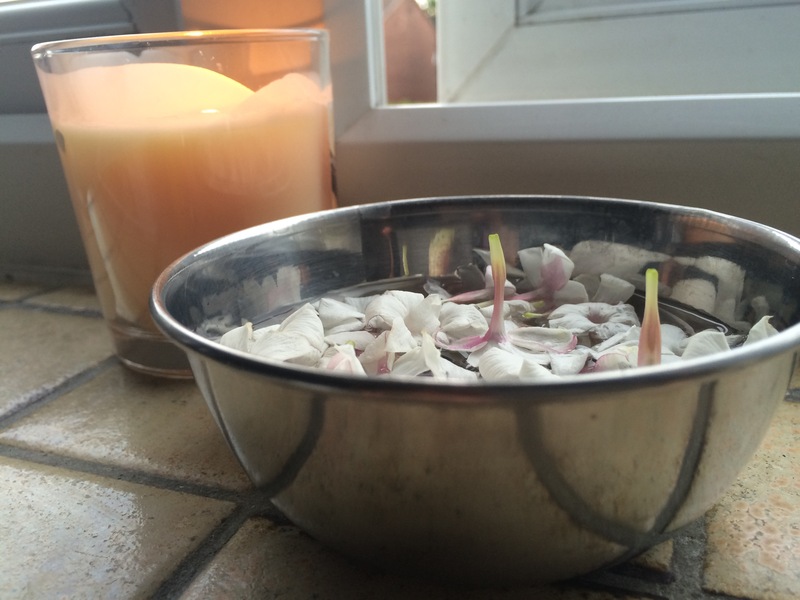 I gathered up about two handfuls and put them in a bowl of water in front of my open kitchen window. The lovely smell drifting in helped to combat the bleach smells as I went about cleaning up the kitchen for the night. Jasmine is known as the ‘King of essences’ and the King of essential oils’, which is a bit weird given that Jasmine is a female name. So I thought I would take a closer look at this exotic plant. Jasmine Officinale is so ancient, even though Central Asia is known to be where it originated from, the specific country is uncertain. It kind of makes sense why images of ‘Arabian nights’ are conjured up whenever you smell Jasmine. The scent of Jasmine is often described as having more masculine, animal-like qualities in its’ essence than the Rose (the ‘Queen of oils) which is more feminine. However, the properties of Jasmine are quite versatile and suite both sexes, playing an important role in the perfume industry for centuries. One of the things I love about Jasmine is that it can be enjoyed all year round. 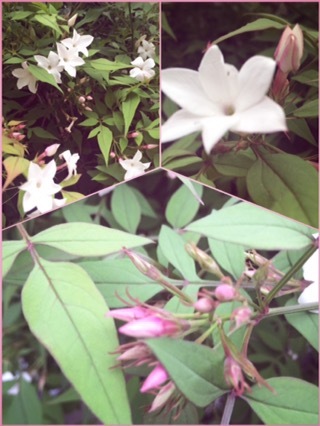 In my back garden, which is south-facing, I have a summer flowering Jasmine. In the front garden I have a winter Jasmine with yellow flowers. A great tip I picked up from my neighbour about the winter flowering Jasmine, which is in a large pot, is to Not wrap the pot in protective fleece in the winter. The cold temperature helps there to be more prolific flowers. 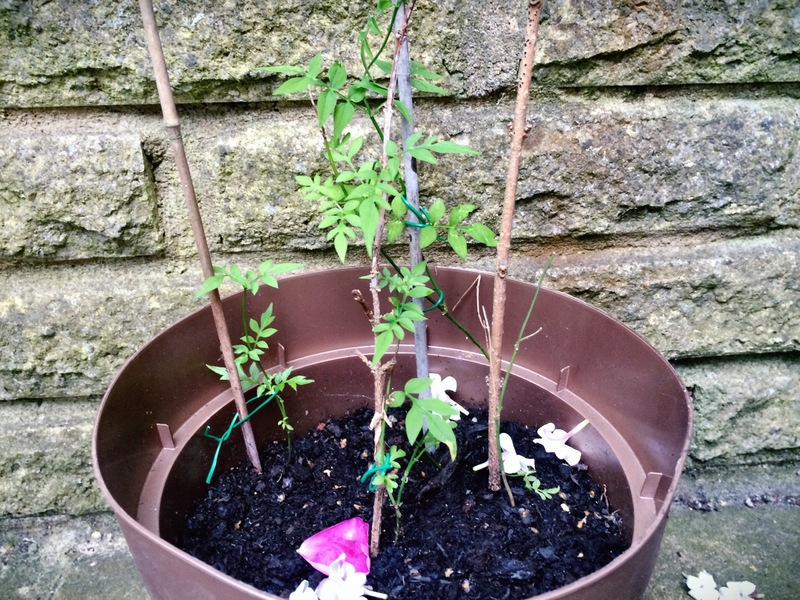 Below is a shot of self-seeded summer jasmine that were potted up a month ago. As you can see, they’re doing pretty well! 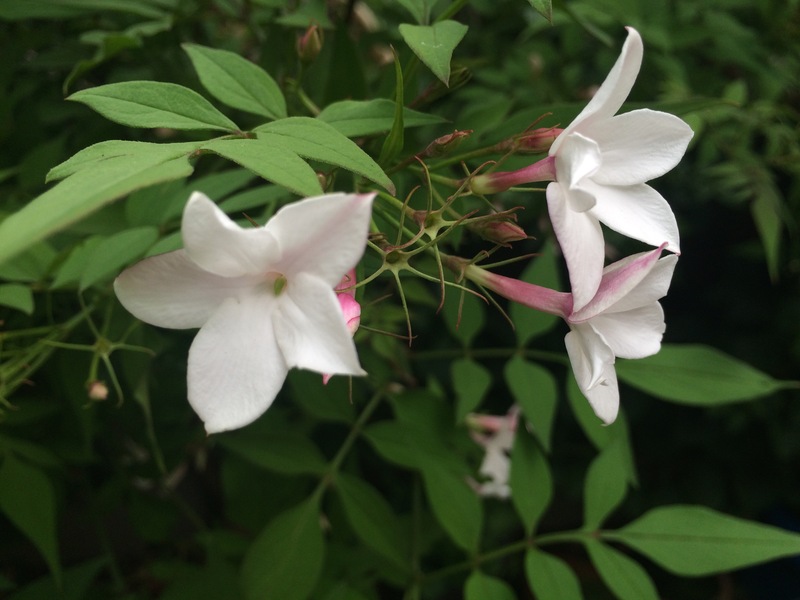 It looks like Jasmine plants have played an important role in everyday society since ancient times from fragrance to drinks and religious ceremonies and possibly in a variety of other ways too. Today, in the gardening world, we can enjoy it all year round thanks to the introduction of many varieties.